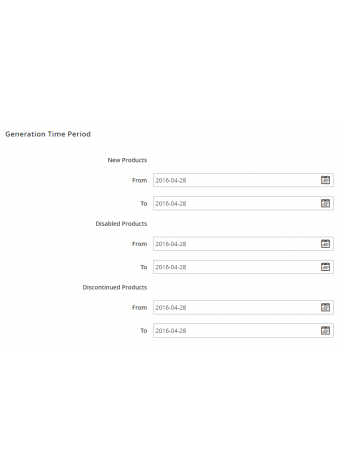 This extension enables the store admins to receive and manage info on 4 product types at a scheduled time. The extension is designed to help store admins receive information on four major product types. 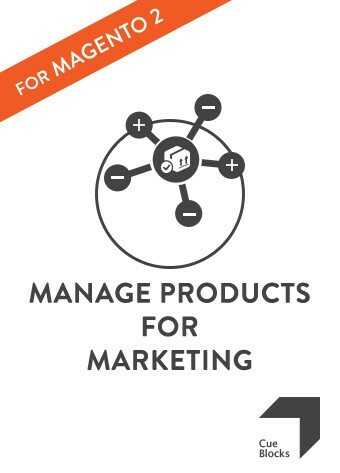 This extension helps the admin manage products more effectively for various marketing operations and a better front-end user-oriented experience. Using this extension, admins can receive data via CSV files everyday, and can keep a close-eye on the product inventory. 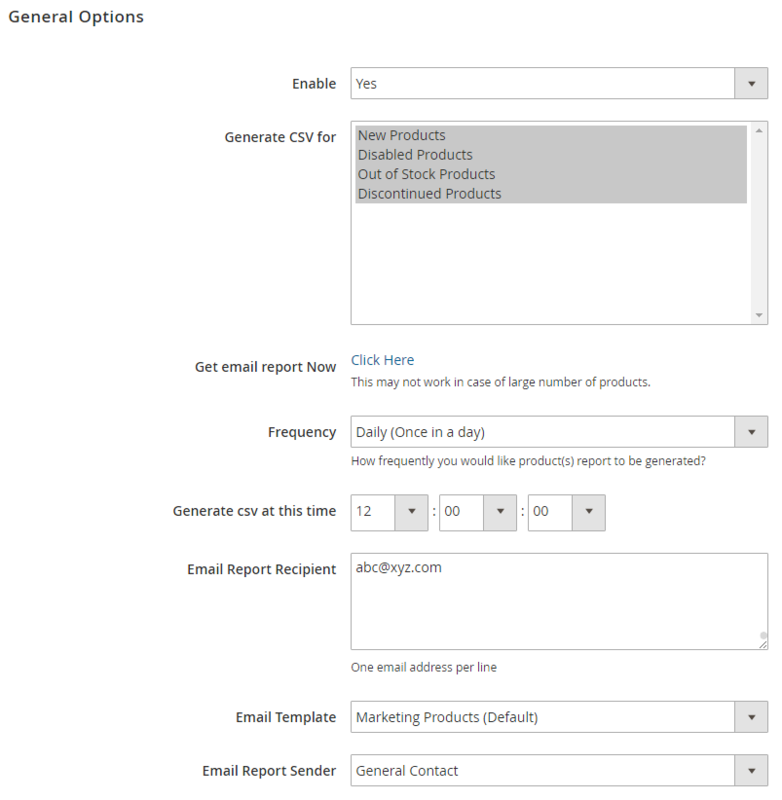 Out of stock Products:The extension will also generate a CSV for products that have zero or no inventory in them i.e. out of stock. 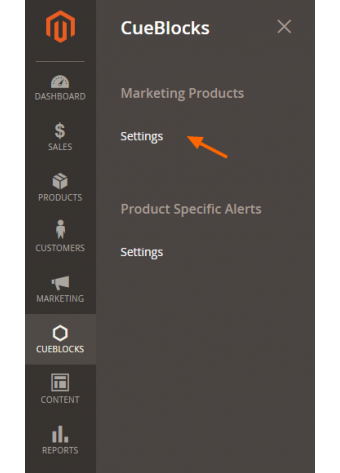 By configuring the extension settings in the back-end, the admin can enable the option of receiving information on products with zero inventory. 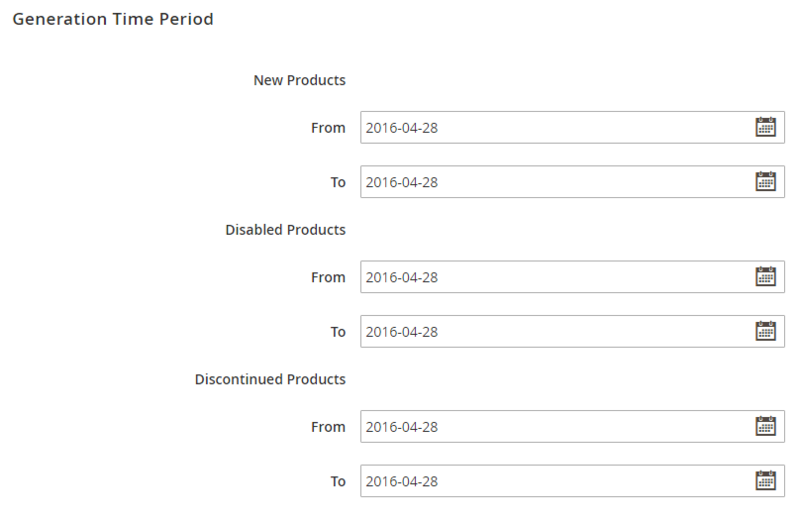 Discontinued Products: These are the products in the system that have Visibility = Search and Status = Enabled. 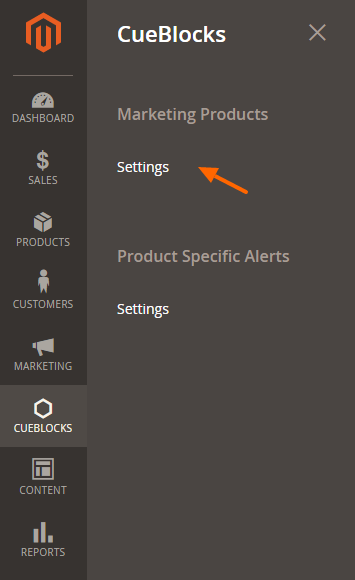 CueBlocks > Marketing Products> Settings. 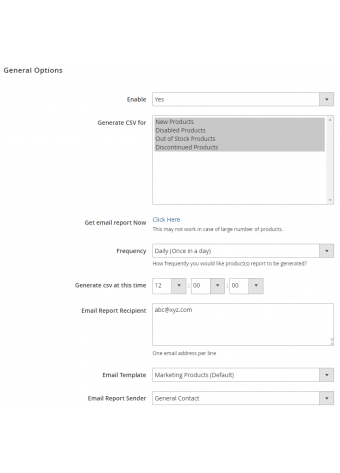 Store admins can manage products better for marketing or record keeping with the information received. It helps take the manual work of keeping a record of products that were disabled or those that went out of stock. 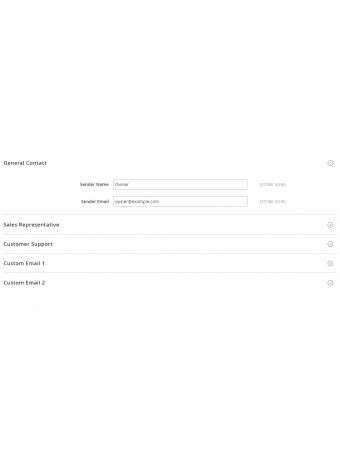 With information on the 4 crucial types of products, store admins can streamline the process of updating information on the store front end. Get this extension and take the hard-work out of storing and saving crucial product information.